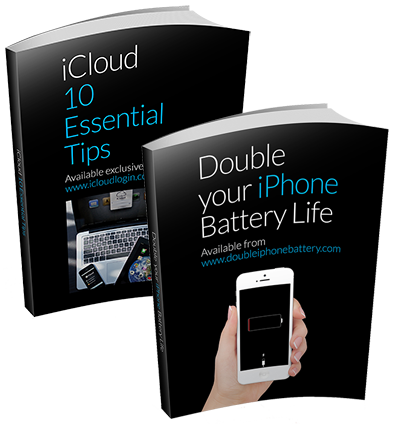 By now, you’ve probably familiarized yourself with Apple’s new iOS. If not, you should make the switch. The general consensus is that this update is a good one, with just a few areas to improve on. This article isn’t going to give you a walk through of the new operating system, we’ve already done that here. 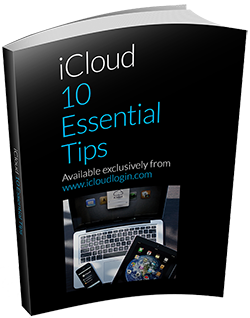 We’re going to give you the insider scoop on some great features iOS 10 has, but doesn’t make obvious. 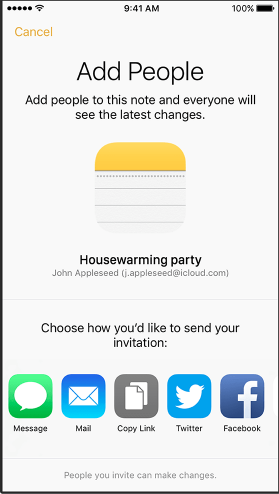 Part of iOS 10 is Apple introducing new ways to recognize certain types of emails and messages. 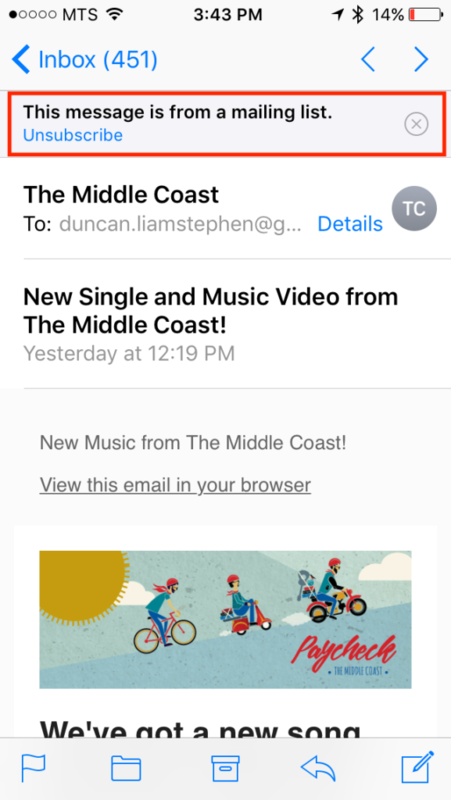 For example, when you get an email that is from a mailing list, Apple gives you a very easy way to Unsubscribe from that list. 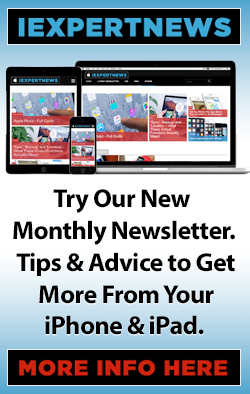 For example, this is an email received on an email list, and right at the top is a banner offering you an option to Unsubscribe. Sometimes, you end up staying subscribed to mailing lists simply because it’s annoying to unsubscribe. This takes care of that! 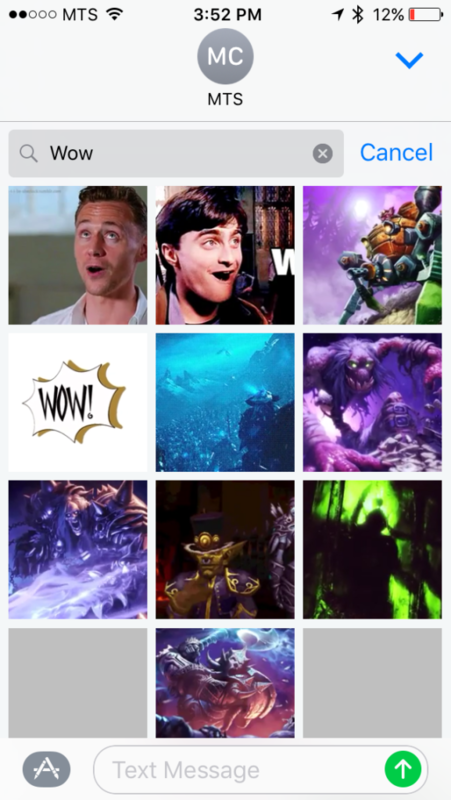 We use to have to use a dedicated GIF sharing app to send our friends funny GIFs. No longer! 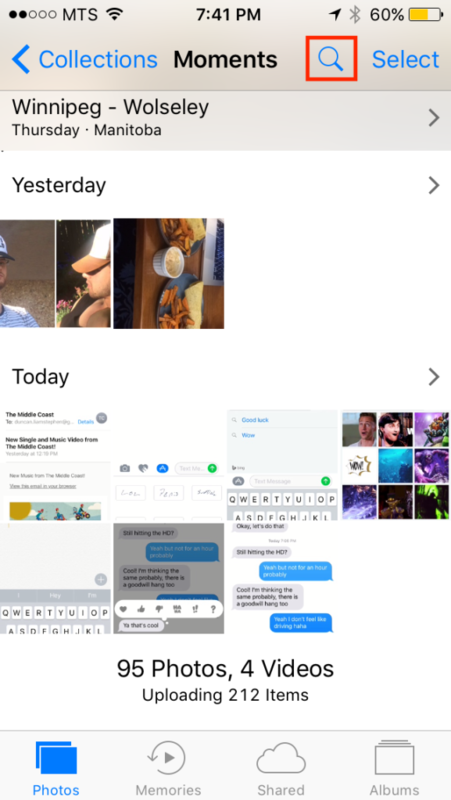 Apple is meeting consumer demand and giving us the option to search for appropriate GIFs or images right within the app. Start a new message. Tap the App icon. Swipe to the left as far as you can. You’ll reach the #images section. Try searching for a GIF. You can search specific feelings, places, or actions. 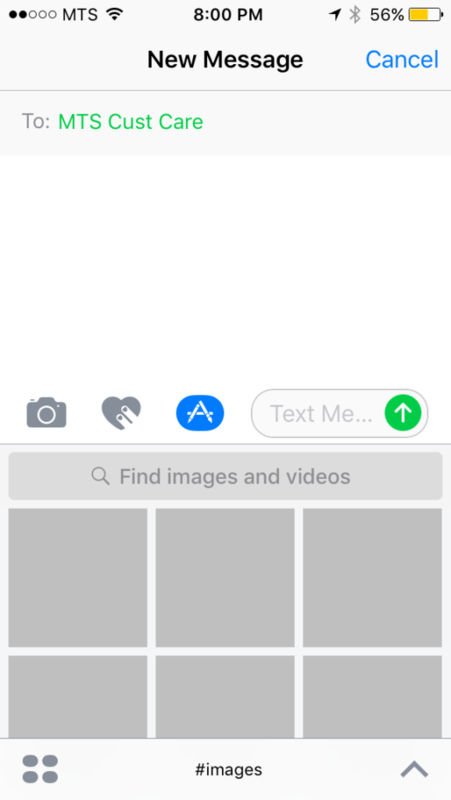 Simply tap the image or GIF you want to send, and it will attach it to your message. Might as well delete those other apps, because this is way easier! Notes have long been used for grocery lists, to dos, lists of movies to watch, bands to listen to, etc. Now, you can compile those lists with a friend, in real time. It’s pretty cool, and very handy! Tap the new Add People icon in the top right hand corner. Choose how you want to invite someone to share the note. Once the other person has accepted the invite, you can work on the note in real time, together. This is something that third-party apps have been doing for a while, but is a new addition to the iOS built-in app arsenal. Okay, this one may not be hidden, as people are pretty excited about it. But it was not advertised by Apple, and it’s very useful. Everyone seems to have that ‘Useless’ folder on their Home Screen, filled with the Stocks app and many other built-in apps that many users do not actually use. Now, press and hold any app, and tap the little ‘x’ to delete a built-in app like you would any other app. This doesn’t really ‘delete’ the app so much as it hides it. 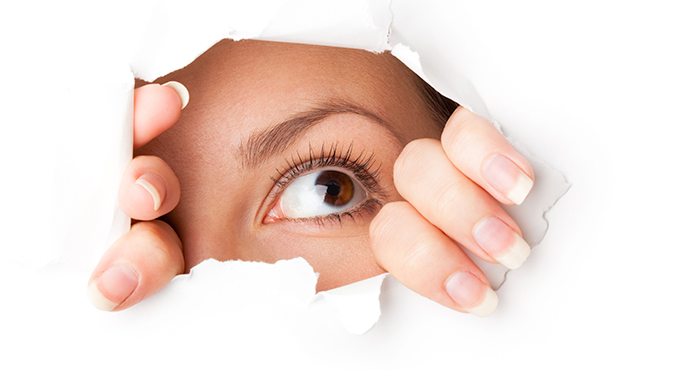 But, it does delete any personal data stored in the app, so it can be a good way to free up space on your device. To get one of these apps back, simply go to the App Store, search for the app, and reinstall it. different options according to what you’re pressing on. 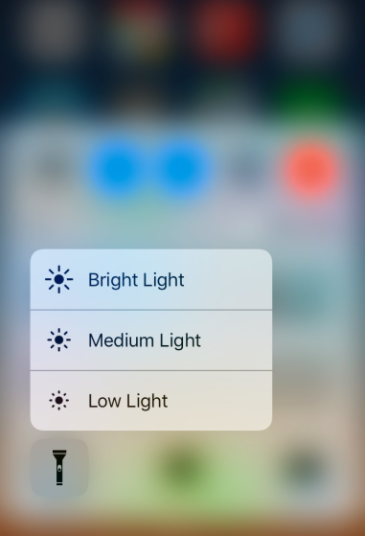 For example, in your Control Centre, you can hard press an option like the Flashlight option, and be given options for low light, medium light, etc. Obviously, this is useful if you don’t want to wake a sleeping human or something. Force Touch that has long been available on Apple Watch: it is far more sensitive and responsive. This allows Apple to continue to develop it through it’s updates. 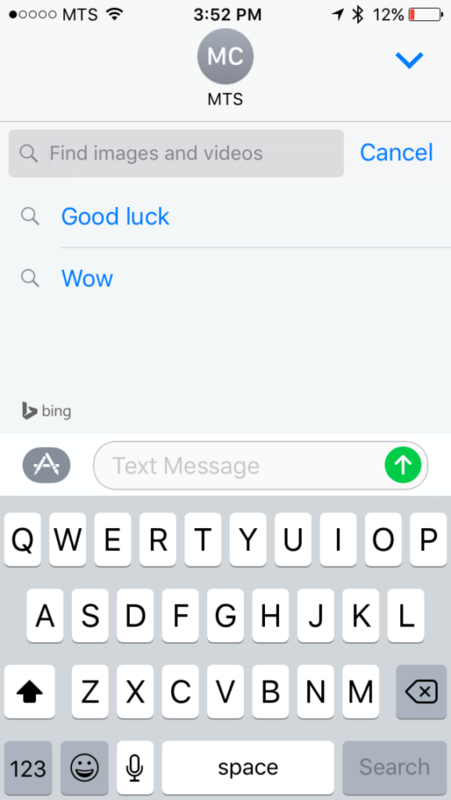 You’ve probably figured out a few of Messages new features by now. Message effects, GIFs, Digital Touch, hand drawn messages, etc. 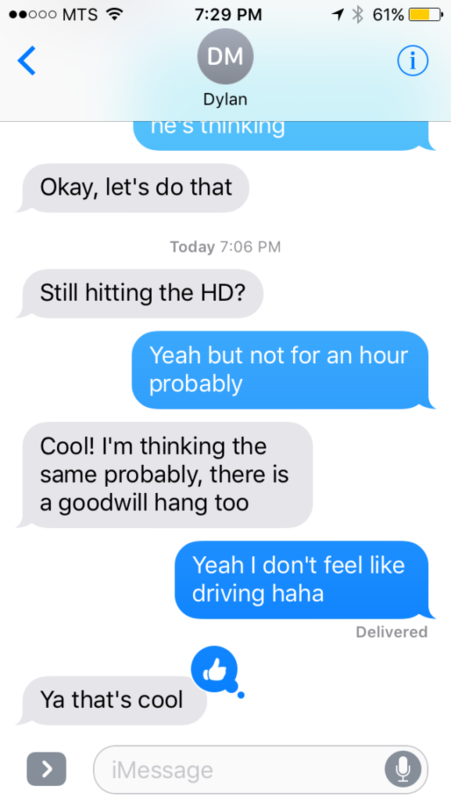 However, there is a little used iOS 10 Messages feature that is actually pretty fun. 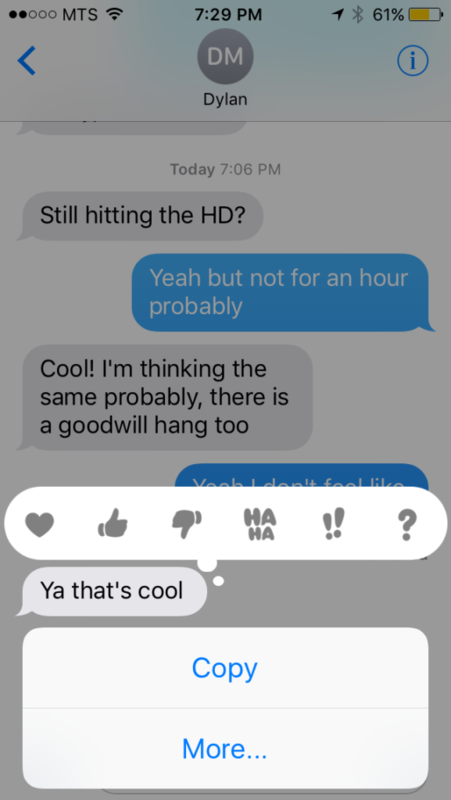 Tapback allows you to react to a friend’s message without sending them a notification. This is especially awesome in group messages. Have you ever been in a group chat where everyone just sends thumbs-ups all the time? It’s annoying. Press and hold a friend’s message. The Tapback options will appear. Select the one you want to send. Many people have a lot of photos on their iOS devices. Smartphones and tablets have become just as much cameras as they are personal assistants, phones, and entertainment modules. 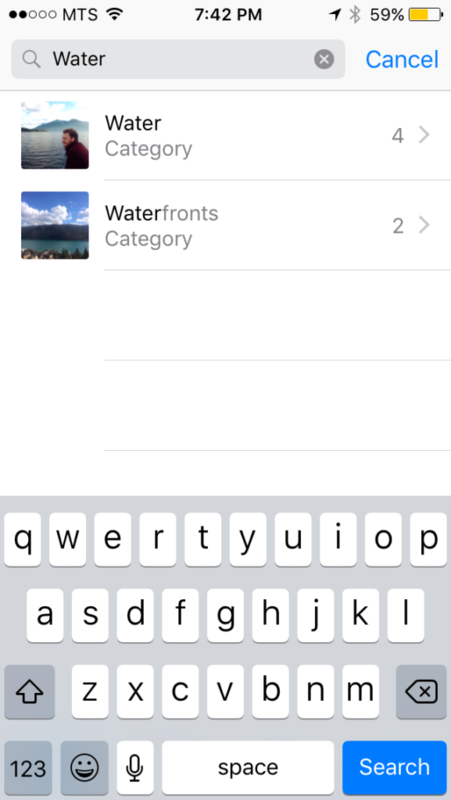 Searching for photos is easy, just tap the search icon in the top right hand corner of the Photos app. Then, type in what you’re looking for. For example, let’s search for photos involving water. And there you have it, all the photos I have that feature water. 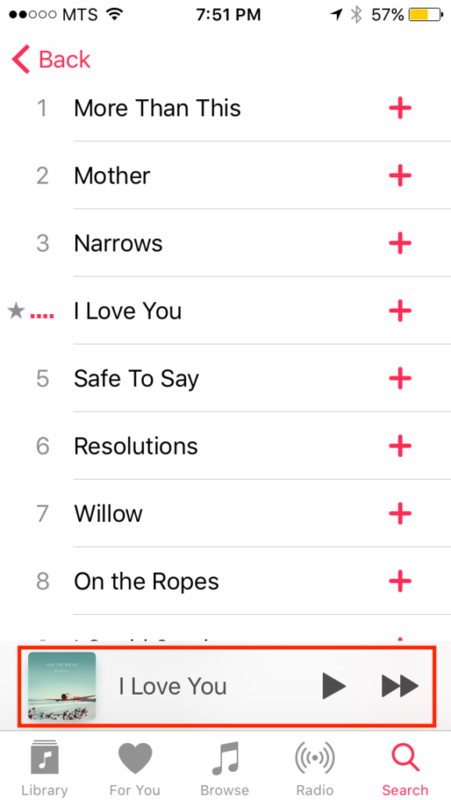 A brand new feature in Apple Music is the ability to see the lyrics to any song you’re listening to. They’re not in there for every song ever yet, but at some point they probably will be! 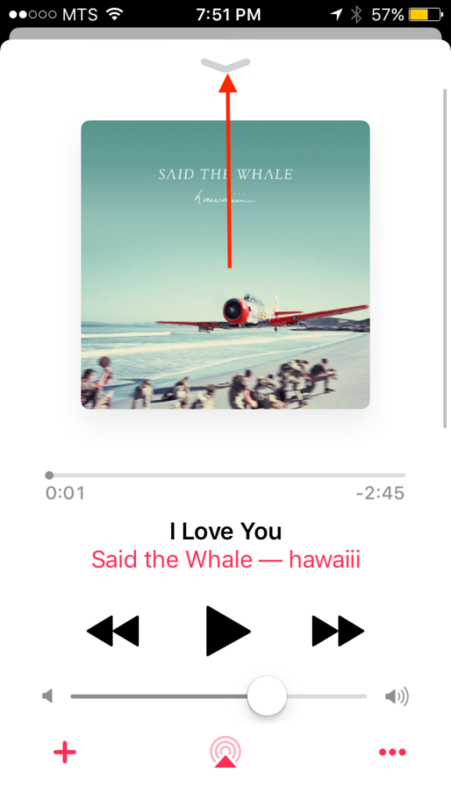 Tap on the song title to pull up the mini-player. Swipe up on the mini-player. You can now see the Up Next list. If you are listening to an album, this will be populated with the album. 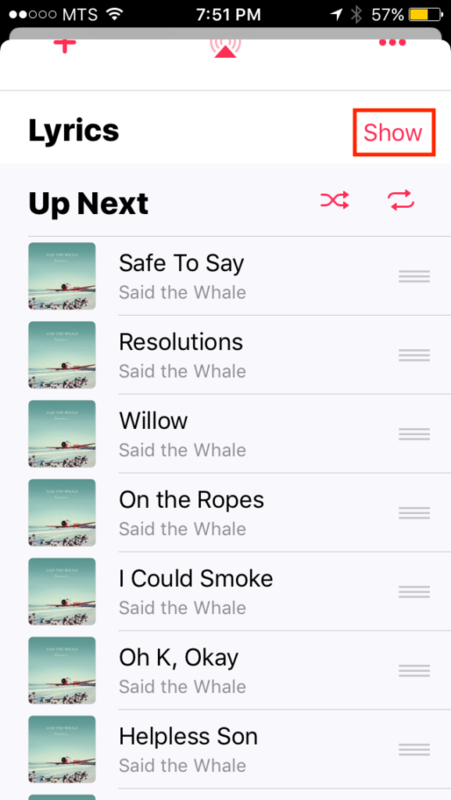 You can also add songs manually to the Up Next list. 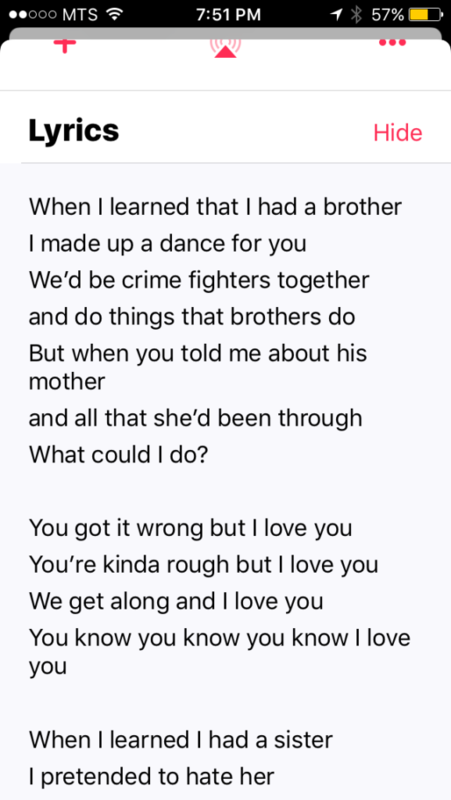 Tap ‘Show’ under the Lyrics heading, and read the Lyrics. These are just a few of the great features iOS 10 offers but doesn’t advertise. Do you have some features that you’ve fallen in love with? Let us know!